Project Details: There’s only one question… have you tried the coconut cake from Karen’s Kitchen? 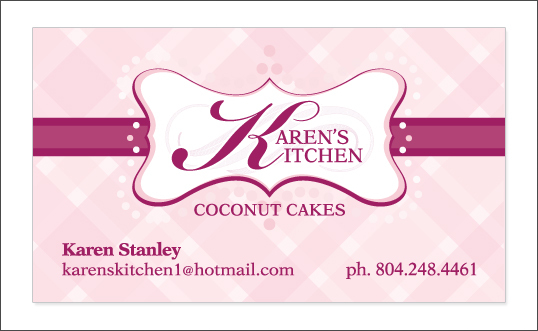 Karen Stanley specializes in making what can only be called the BEST coconut cake in Richmond and on planet Earth! Look for Karen’s cake on the menu in local Richmond restaurants such as Melito’s and if your favorite eatery isn’t serving Karen’s cake yet, have them give her a call to setup a free tasting.